What makes a car advanced? When we ask Mid-Missouri drivers, they look at the tech, and the 2017 Honda Fit technology features leave its competitors looking a bit outdated. Between modern convenience features, advanced entertainment technologies, and state-of-the-art safety, the Fit proves that drivers can have an advanced car at an affordable price. Read on to discover its tech specs for yourself. Smart Entry: This available feature lets the Fit know when your key fob is nearby so you can simply walk up to the door and lock or unlock it without ever digging for your keys. Push-Button Start: Like with Smart Entry, the available push-button start system knows when your keys are inside the Fit; it’s just a matter of buckling up and pushing the “Start” button to bring the engine to life and be on your way. Steering Wheel–Mounted Controls: Manage your hands-free phone calls, change songs on your driving soundtrack, and adjust your cruising speed without ever taking your hands from the wheel with the Fit’s standard steering wheel–mounted controls. Center Console: The Fit’s spacious and conveniently placed center console means never needing to hunt for your wallet or phone after a drive, and the nearby 12-volt and USB outlets help keep your gadgets charged on the go. Heated Seating: The available heated front seating features two different settings to keep a driver and front passenger comfortable no matter the season. Eco Assist: An efficient engine only does so much on its own. It’s up to the driver to practice efficient driving habits, and the Fit’s Eco Assist system is here to help. A pair of bars on either side of the speedometer glows green as your driving gets more efficient. When you’re behind the wheel of the Fit, it’s easy to stay connected. From the entry-level LX trim to the ultimate EX-L Navi, the 2017 Honda Fit technology features keep you synced up with your devices and ensure each trip is a fun one. Bluetooth HandsFreeLink: Pair your smartphone with the Fit to stay connected to your phone with hands-free calling and streaming audio. Craft your own playlist or go with a streaming radio service like Pandora. Display Audio Touchscreen: The Fit EX adds on a 7-inch Display Audio touchscreen that makes use of the familiar pinch and swipe controls of tablets and smartphones. Navigate your media, vehicle settings, infotainment controls, and more on the crystal-clear, high-res interface. 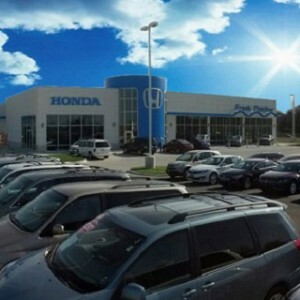 HondaLink: Bridging the gap between your car and your smartphone, the available HondaLink telematics system takes your podcasts, Internet radio, and social media feeds and makes them easily accessible in the Fit. 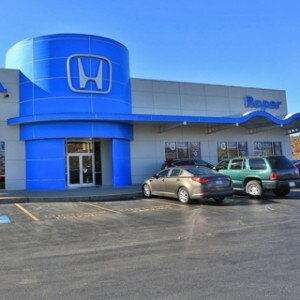 And with just a few taps on the HondaLink app, you can easily schedule your vehicle for service. Navigation: Found on EX-L Navi models, the Fit’s satellite-linked navigation system responds to voice controls, directing you home, to work, or out on a weekend adventure with turn-by-turn instructions that prioritize the fastest route—including directing you around traffic jams. Safety is the top priority of any Honda model, and the 2017 Honda Fit technology features include a suite of safety amenities that help you maintain control of the Fit in tough driving situations and alert you to potential hazards. Daytime Running Lights: Standard on each Fit model, daytime running lights switch on whenever the vehicle is on, making it easier for other drivers to see on the road. This increased visibility has been shown to reduce the risk of collisions and increase vehicle safety. Vehicle Stability Assist: This standard Fit safety technology senses when your wheels and your steering wheel are at odds with each other, indicating oversteer, understeer, or lost traction. By adjusting engine power and brake pressure, Vehicle Stability Assist can stabilize the Fit and bring it back under your control. Multi-Angle Rearview Camera: Each Fit includes this multi-angle rearview camera as a standard feature. Simple shift into reverse and your in-dash display screen shows one of three different views—top-down, wide-angle, or standard—so you can back up with confidence. Honda LaneWatch: Fit EX and higher models include another advanced camera system. The Honda LaneWatch safety feature uses a camera mounted on the passenger-side mirror to offer you a direct view of what’s in your passenger-side blind spot. Just signal a lane change or press a button to see almost four times more than what a mirror alone can display. 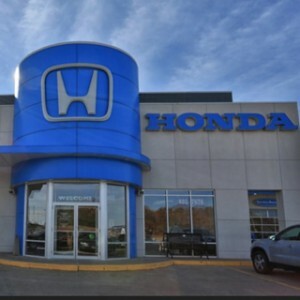 The 2017 Honda Fit technology features have helped make it one of our most popular models at Mid-Missouri Honda Dealers. 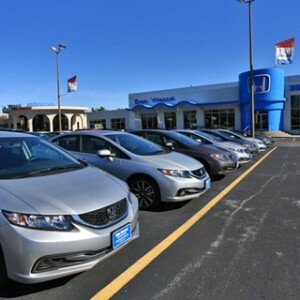 Visit one of our locations today to take one for a test drive and discover its spacious interior, energetic engine, and suite of high-tech options firsthand.